Abdominal exercises targeting the obliques, or side abdominal muscles, are an often-overlooked yet vital part of any core workout. Strengthening and toning your obliques helps greatly in developing functional strength, balancing the other core muscles, and of course, firming and toning the midsection. Strong obliques not only improve the aesthetic appeal of your waistline; they will also help you with any athletic movements involving twisting. Think about swinging a golf club or baseball bat. The more you train these types of movements, the better your athletic performance will be in terms of strength and power. Read this article to learn how to safely and effectively target your oblique muscles in your abs workouts. We will go over basic abdominal anatomy, how oblique exercises affect love handles, exercise guidelines, and descriptions of the best oblique exercises for women, including videos. Jump to the Videos of the Best Oblique Exercises for Women or continue reading to learn more. It’s important to understand the basics of abdominal anatomy to maximize the best oblique exercises. You need to be able to feel the obliques working to make sure you are doing the exercises correctly. The front of the abdomen is covered by the rectus abdominis, also known as the 6-pack muscle. The rectus abdominis is mainly responsible for forward movements of the trunk. 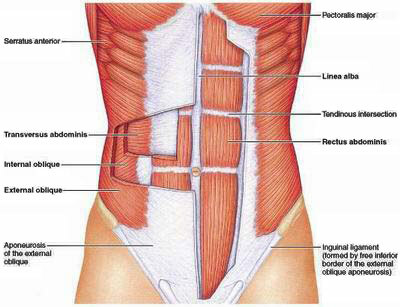 Oblique muscles are located to either side of the rectus abdominis. There are two layers of oblique muscles: the external obliques and the internal obliques. The external obliques are the most superficial, and the internal obliques are one layer deeper. There are two of each of the types of oblique muscles, one on each side. So really, you have four obliques. The main function of all the oblique muscles is to rotate the torso from side to side, like when you swing a baseball bat, and most of the best obliques exercises for women will directly address this motion. The obliques also work to flex the torso in either direction, like when you bend over sideways. Underneath the rectus abdominis and the two layers of obliques dwells the transversus abdominis, the deepest abdominal muscle which is highly involved in core stability. When you perform the drawing-in maneuver described below in the exercise guidelines, you are engaging your transversus abdominis. To get an immediate sense of what it feels like when the transversus abdominis contracts, put your hands on your belly and cough strongly. Even the best oblique exercises for women WILL NOT reduce your love handles by burning fat off your abdomen. Anyone who tells you otherwise is lying to you and probably trying to sell you something. To burn fat, especially stubborn abdominal fat, it is vital that you partake in regular cardiovascular exercise alongside your strength training program, and that you eat a healthy, balanced diet. The key to fat loss is simple: burn more calories through exercise than you consume through eating. To learn more about the truth about fat loss, check out the dozens of articles in our weight loss section. Please read this section thoroughly and make sure you understand the information contained herein to get the most out of the best obliques exercises while preventing injury. For a complete guide to exercising your whole abdominal area, you may want to start with our article on Core Stabilization. It’s important ensure that your core is stable before beginning abdominal strength exercises like the oblique exercises covered in this article. Once your core is stable, check out our articles on the Best Abs Exercises for Women and the Best Lower Abs Exercises for Women. Combine those exercises with the best obliques exercises you will learn in this article for a full-on abs blasting workout! You will notice that most of the exercises below are primarily focused on torso rotation rather than bending the torso from side to side. This is because isolating the motion of flexion is not as functionally useful or effective in toning the obliques as rotating. Additionally, side flexion isolation exercises tend to bulk out the sides of the waist, which is a goal I doubt many women are pursuing. For these reasons, you will notice that typical exercises such as weighted side bends are missing from our list of the best obliques exercises for women. As you perform the following oblique exercises, focus on minimizing hip motion. Keep the rotation in your torso to make sure the obliques are being worked instead of the hip muscles. If you feel the burn in your hips or legs instead of your obliques, stop and reassess your technique. Focus on controlled movements isolating the torso. Perform a drawing-in maneuver to stabilize your core and protect your spine while doing oblique exercises. To draw-in, tighten the muscles right behind your bellybutton toward your spine. Maintain this contraction at all times. If it is tough to breathe, your diaphragm is over-involved. Drawing-in is different than sucking it in, in that drawing-in requires abdominal muscle engagement, not diaphragm engagement. Other considerations include how many reps of each exercise to do, how many sets of the sequence to do, as well as exercise tempo. Since the abdominal muscles are mostly type I fibers, they are slow to fatigue. You must perform high reps of each exercise to effectively target this type of muscle. Aim for sets in the 20-30 repetition range. You can perform just one set of each exercise, you can do multiple sets, or you can pick and choose just a couple of exercises to insert into your current abdominal workout routine. The appropriate tempo for these oblique exercises depends on your goals. For most women, performing the exercises in a slow, controlled manner is the best way to firm, tone, and strengthen the obliques. If your goal is more along the lines of functional strength and power for your sport, such as golfing or baseball, you may want to perform the exercises at a faster tempo more applicable to the speeds at which you actually perform in athletic events. Always allow 48 hours between workouts of any muscle group to allow the muscles enough time to rest and recover. Oblique training is totally appropriate to mix into the same sessions as your abs workouts. You can train the core as part of a full-body workout, or you can do strength training splits. I like to train my abdominals the same day as my back since many back exercises activate the abs anyway, and vice versa. Now that you understand basic abdominal anatomy, the true relationship between oblique exercises and love handles, and the exercise guidelines for safely and effectively performing oblique exercises, you’re ready to get going on the best oblique exercises for women! This killer move is the mother of all abs exercises. The Bicycle targets the obliques as well as the rectus abdominis. To perform the Bicycle, lie flat on your back with your fingers interlocked behind your head. Raise your shoulders off the floor as you bring one elbow and the opposite knee together. Alternate elbows/knees for at least 20-30 reps. You can do the bicycle quickly as shown in the video, or at a more slow and controlled tempo. Remember to keep your core drawn in to engage your core support muscles and protect your spine. Side planks are a great exercise for targeting your obliques as well as your transversus abdominis. To set up the Side Plank, get on the floor on your side, propping yourself up on your forearm. If your wrists are stable, you can go up on your hand as long as you keep your wrist directly under your shoulder at all times. You can stack the top foot on the bottom foot or put the top foot on the floor in front of the bottom foot if you require a wider base of support. Stretch the top arm straight toward the ceiling or let it rest on your side. To perform a dynamic side plank, lift your core straight up toward the ceiling. Keeping your core muscles engaged, lower the core slightly back toward the floor and then raise it right back up. Perform 20-30 reps of the dynamic side plank. You can also simply hold the side plank position for anywhere from 10 seconds to a minute to work the muscles isometrically. 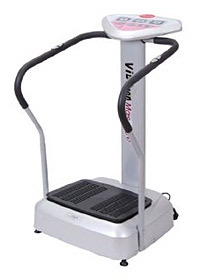 You will definitely feel a burn with both versions. Feel free to combine the dynamic and isometric versions of this exercise into the same workout to challenge your muscles in different ways. Once you’re finished with one side, flip over and do 20-30 reps on the other side. Side turns, also known as windshield wipers, target the obliques as well as the lower abs. Lie flat on your back with your legs in the air at a 90 degree angle to your body. Keeping your core drawn in at all times to protect the spine, slowly bring your legs down to the ground to your right, back up to straight, then down to your left. Repeat for a total of 20-30 full reps. Remember that you need to feel your obliques working, not your hip or leg muscles. If you feel your hip or leg muscles working more than your obliques, refocus on keeping the twisting action in your torso, not your hips. If you like, you can increase the challenge by holding a stability ball between your feet as you turn from side to side. The stability ball version of the exercise is shown on the right. Unlike the previous three exercises, this exercise requires a simple piece of equipment: a resistance band with the tension of your choosing. Resistance Band Torso Twists are an excellent exercise for training the functional movement of twisting. If you’re an athlete training for strength and power, perform the twists at a tempo similar to the speed your sport requires. If you simply wish to tone and strengthen, or if your core stability isn’t quite there yet, a slow, controlled is very effective and safe. Tie the resistance band to a stationary object around waist-height, such as a doorknob. Stand with the side of your body toward the stationary object, grasping the resistance band’s handle in front of your body with both hands. Twist away from the stationary object, making sure you are twisting from the torso and not the hips. Perform 20-30 reps before switching sides. If you are an athlete training for performance, you will likely want to incorporate some lower body movement instead of just torso movement. Try to twist in a way that mimics the movements required by your sport. Captain’s Chair Twists, also known as Hanging Leg Twists, are an extremely challenging oblique exercise which also works out the rectus abdominis. You can perform this exercise hanging from arm supports as shown in the video, or use the Captain’s Chair equipment found in most gyms for greater back support. Since this exercise is so demanding, you may want to perform it at the beginning of your workout so you have enough energy to get through the set! This is a very tough exercise, so you may need to work up to it over time. If it’s too much, focus on the other four best obliques exercises for women until you are strong enough to do Captain’s Chair Twists without excessive strain. To perform Captain’s Chair Twists, situate yourself in the equipment with your legs hanging freely. Draw your knees up toward your chest and hold them at a 90 degree angle to your body as you twist from side to side for 20-30 full repetitions. As with all of the other best oblique exercises, the twist is all in the torso, not the hips or legs. If you feel your hips and legs working harder than your obliques in this exercise, reassess your form and make sure you are indeed properly engaging your core.